The Akita Club of America (ACA) was founded in 1960 as a non-profit organization. The official breed standard was completed and approved by the American Kennel Club (AKC) on April 4, 1973. About the same time, the stud books were closed. 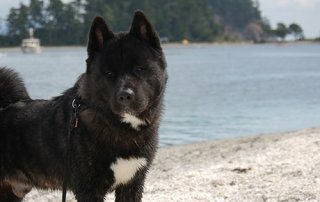 As of March, 1974, Akitas born in Japan and registered with one of the Japanese registry systems such as Akiho were no longer eligible to be registered with the AKC nor were there get (i.e. puppies that they produced). With AKC recognition of the Japanese Kennel Club beginning in 1993, registration of imports registered with the JKC can now be done. Imports registered with AKC are considered AKC-registered dogs and can be bred and shown just as any AKC-registered dog. 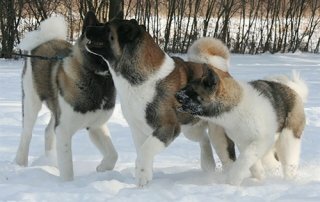 The main objectives of the ACA are the preservation and protection of the breed and improvement of the character and conformation of the Akitas as described in the official breed standard. The ACA hosts an Annual National Specialty Show and Annual Meeting, which rotates throughout the country. This is generally held in October each year. A major goal of the ACA is to provide educational information about the breed to club members, the general public, and to prospective judges. 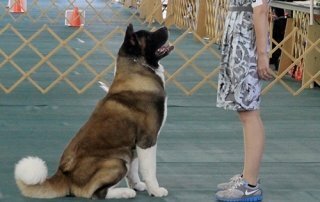 When exhibited at shows, Akitas are judged in accordance with the AKC Akita Breed Standard which was developed by the ACA and approved by its members before submittal to the American Kennel Club. National breed clubs are the custodians of their breed standards and any changes to that standard must be formulated by the club and approved by the membership before they can take effect. 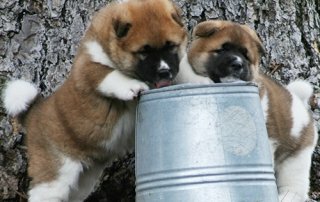 In the United States and Canada, the Akita is a member of the Working Group. to disseminate accurate information about the Akita specifically and dog care in general and to educate the public.